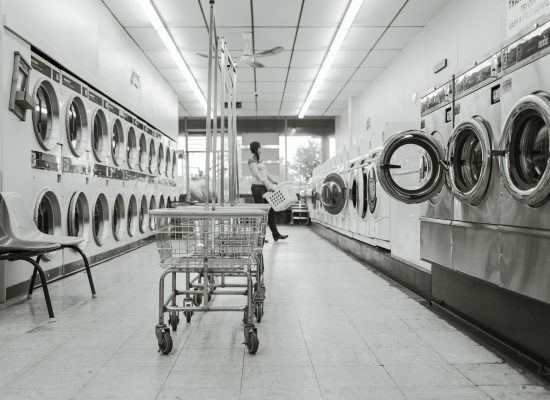 Laundry Equipment Firmware – TelePro, Inc.
Our laundry services client had a unique challenge for TelePro: They needed their laundry management system to be able to communicate and control laundry and vending machines from a dozen manufacturers. The hard part was that these machines did not share any common control protocol or support the same features or configurations. Our client needed our help to build an ever-evolving set of drivers and firmware to allow their management software to communicate using a common language to these all these different hardware models. One thing these machines did share was they each supported some means of attaching wires to the control board and varying serial protocols for communicating over this connection. Tackling each manufacturers’ unique control strategy we’ve continued to integrated each new model from just about every major manufacturing vendor in the coin laundry industry. One by one we’ve been able to interface our customer’s system so that it can control machines from Continental, Alliance, Speed Queen, Huebsch, Maytag, LG, Dexter, and many others. We’ve also defined a more standardized interface that allows our system to also communicate and control with MDB vending machines from a variety of manufacturers. The firmware runs on three different hardware platforms. The three card reader designs include MCU's by Microchip and Texas Instruments including 8, 16, and 32 bit embedded chips. Much of the logic is shared across platforms but features vary widely based on the system specific abilities. Development was done using Microchip MPLAB and ICD-3 debuggers and Visual GDB using TI CC3220 launchpad hardware debuggers. All the code is in ANSI C. Connection from card readers to the system include cat 5 rs485 or standard wifi.